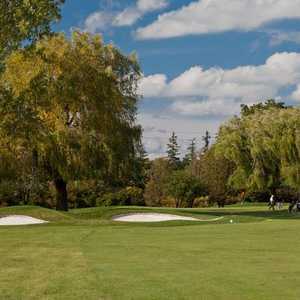 The 18-hole Championship at Meadowbrook Golf & Country Club in Gormley, ON is a private golf course that opened in 1960. 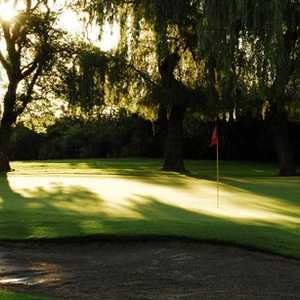 Championship at Meadowbrook Golf & Country Club measures 7007 yards from the longest tees. The course features 9 sets of tees for different skill levels. The 18-hole Station Creek Golf Club - North Course in Gormley, ON is a private golf course. Station Creek Golf Club - North Course measures 6395 yards from the longest tees and has a slope rating of 123 and a 70.7 USGA rating. The course features 4 sets of tees for different skill levels. The 9-hole Meadowbrook Golf & Country Club - Par-3 in Gormley, ON is a private golf course that opened in 1960. 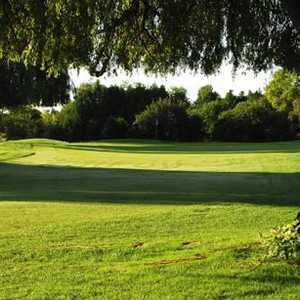 The 18-hole Station Creek Golf Club - South Course in Gormley, ON is a private golf course. Station Creek Golf Club - South Course measures 6909 yards from the longest tees and has a slope rating of 128 and a 72.3 USGA rating. The course features 5 sets of tees for different skill levels.